Following Black Hawk Creek for most of its 13 mile route, the Pioneer Trail is formed on a former rail line that used to connect the towns of Holland and Reinbeck.  The trail was named for the early pioneer settlers of Grundy County, who arrived in the 1850s, and showcases some of the best in Iowa land conservation areas as well as fertile farm land. The Pioneer Trail is mostly shaded and lined with mature trees, with horseback riding permitted on the parallel grass path along the crushed limestone trail. From the northern end in Holland, the trail starts at South Main Street where a small parking area is located. After the first two and a half miles, the trail becomes a shared road with A Avenue for approximately one half mile. At Fourth Street, the trail continues off road for three quarters of a mile until it has a gap at 235th Street, where you turn right and then left onto Diagonal Road. The trail picks up after one mile on the road when the entrance to Wolfe Family Preserve comes into view. There is a small parking are here also but no facilities. Riders will continue through a wooded portion before reaching open farmland once again, also parallel to Diagonal road. There are three stops along this area with picnic and restroom facilities: C.E. Shearn Memorial Park, the Grundy County Museum and Gutknecht Roadside Park. Easily accessible from the Pioneer Trail, eight conservation areas are available for exploring. In addition to those mentioned above, included are Holland Marsh, Buckles Wildlife Area, Copley-Strohbehn Preserve and the Reinbeck section of the Grundy County Greenbelt. Camping, hunting and fishing areas as well as abundant wildlife are all part of life in Grundy County along the Pioneer Trail. The opposite end of the trail is in Reinbeck near the Reinbeck Shooting Range, which has limited parking facilities.